Add a touch of glamour to your bath with cool cabinetry hardware. Fair aisle in aged dover, from the Symphony collection, by Schaub and Company, available through Gegg Design & Cabinetry and Signature Kitchens & Baths. 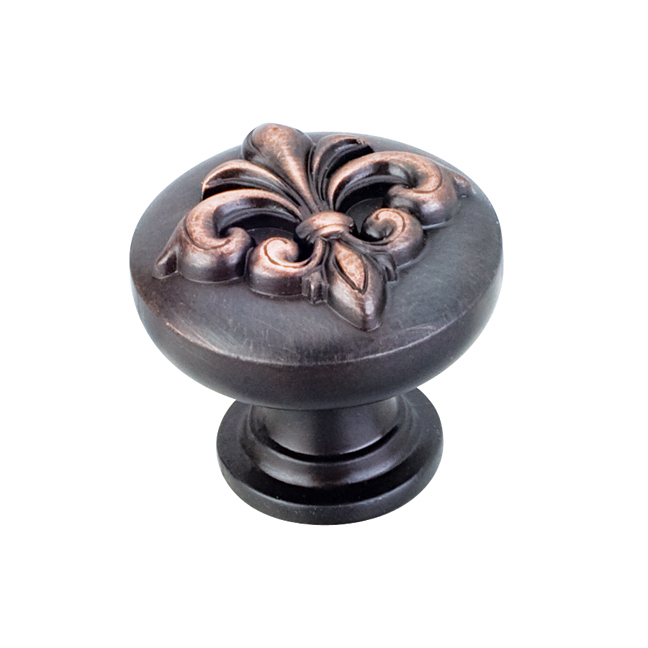 Flared knob in pewter antique, by Top Knobs, available at Beck/Allen Cabinetry, Henry Kitchen & Bath, brooksBerry Kitchens & Baths, Marc Christian Fine Cabinetry and RSI Kitchen & Bath. Avalon bay in dark bronze, from the Symphony collection, by Schaub and Company, available through Gegg Design & Cabinetry and Signature Kitchens & Baths. Violet oyster in polished nickel from the Symphony collection, by Schaub and Company, available through Gegg Design & Cabinetry and Signature Kitchens & Baths. 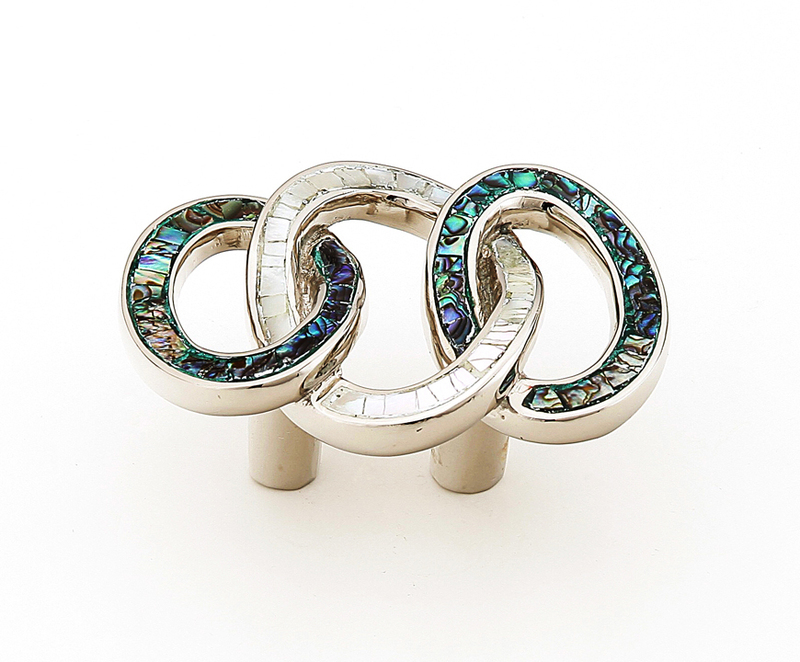 Fair Isle pull in polished nickel, from the Symphony collection, by Schaub and Company, available through Gegg Design & Cabinetry and Signature Kitchens & Baths. 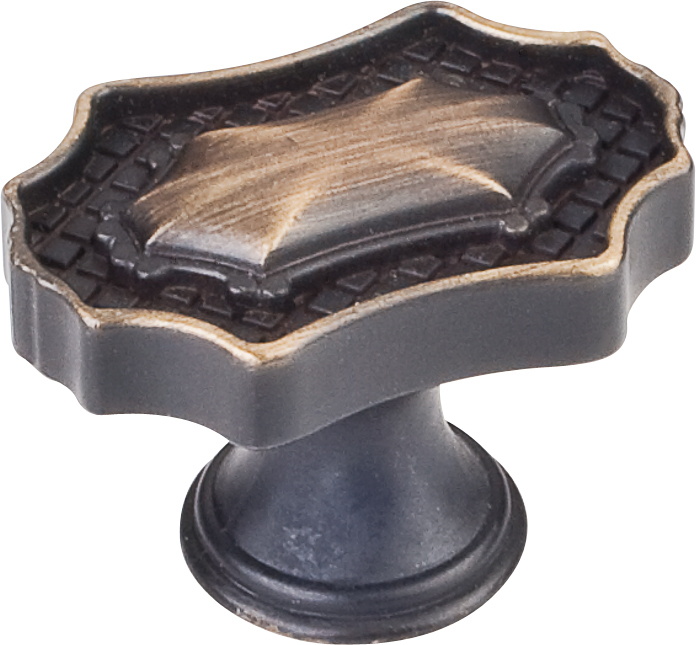 Beaded weave knob, large, in bronze, by Atlas Hardware, available at Immerse by ATLAS, Henry Kitchen & Bath and Marc Christian Fine Cabinetry. Aberdeen in brushed black nickel, by Jeffrey Alexander, available at Beck/Allen Cabinetry and RSI Kitchen & Bath. 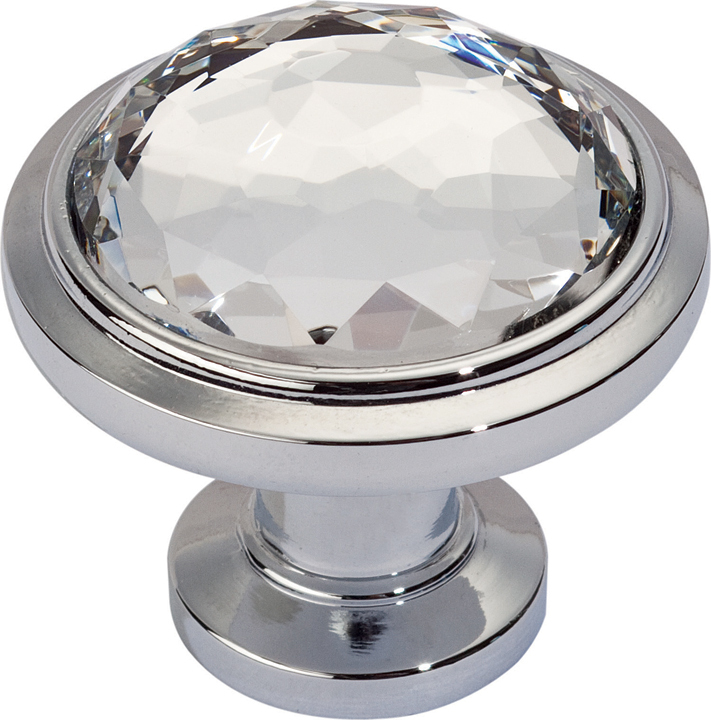 Legacy crystal round knob in polished chrome, by Atlas Hardware, available at Immerse by ATLAS, Henry Kitchen & Bath and Marc Christian Fine Cabinetry. Britannium martello rectangle pull, by Schaub and Company, available through Gegg Design & Cabinetry and Signature Kitchens & Baths. Duval pull in gun metal, by Jeffrey Alexander, available at Beck/Allen Cabinetry and RSI Kitchen & Bath. 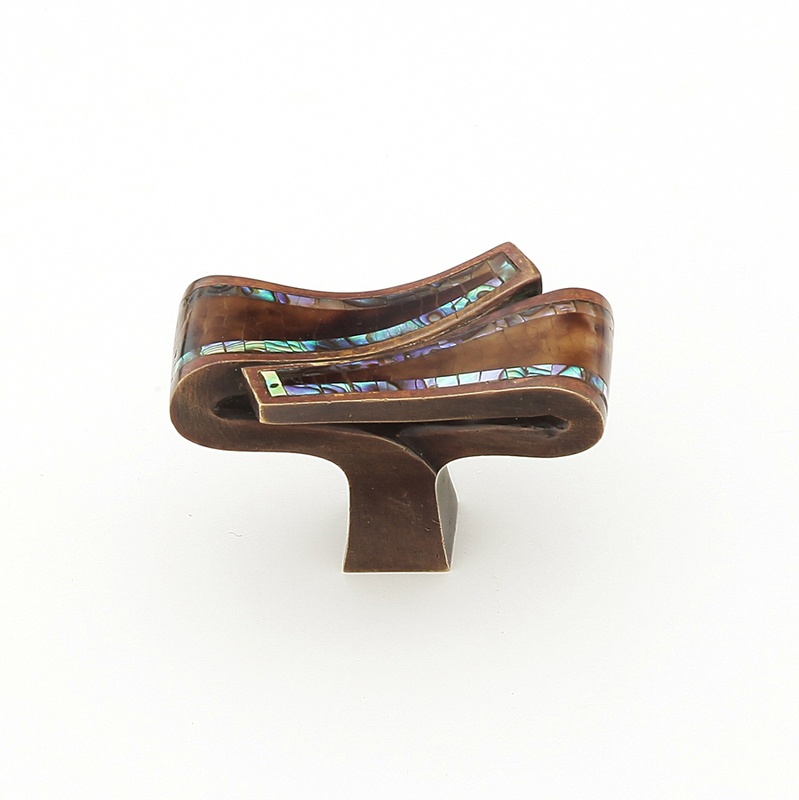 Lafayette in brushed oil rubbed bronze, by Jeffrey Alexander, available at Beck/Allen Cabinetry and RSI Kitchen & Bath. 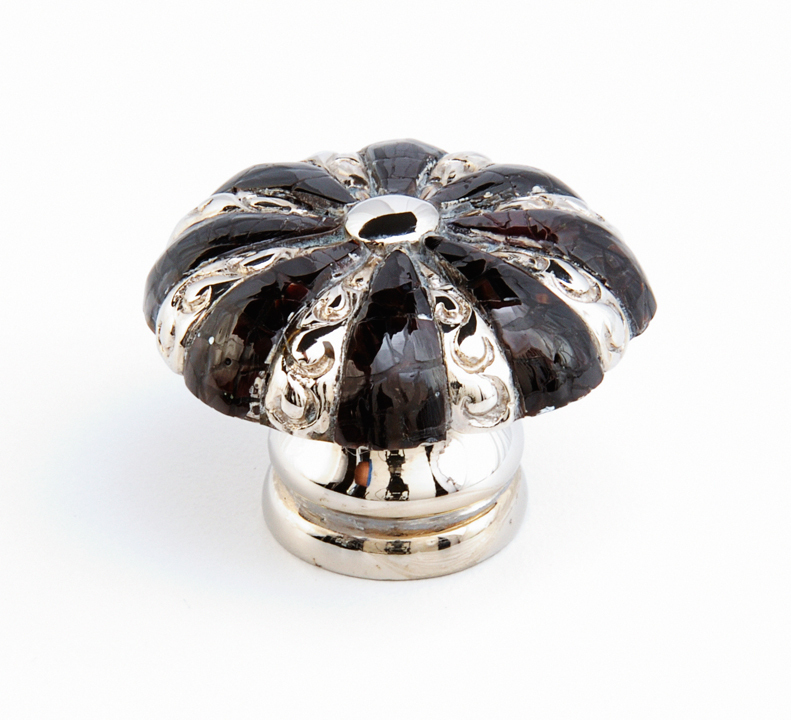 Zanzibar leather knob in white/polished chrome, by Atlas Hardware, available at Immerse by ATLAS, Henry Kitchen & Bath and Marc Christian Fine Cabinetry. Padua in antique brushed satin brass, by Jeffrey Alexander, available at Beck/Allen Cabinetry and RSI Kitchen & Bath. Add a touch of glamour to your bath with cool cabinetry hardware. 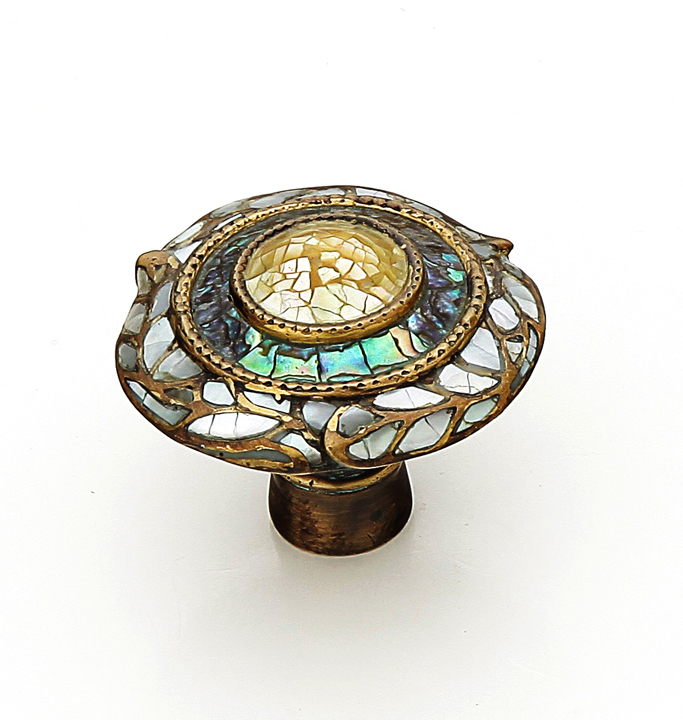 Sleek, stylish, sparkly... whatever your preference, you are sure to find knobs and pulls that fit your bath's design. one: Duval in gun metal, by Jeffrey Alexander, available at Beck/Allen Cabinetry and RSI Kitchen & Bath. 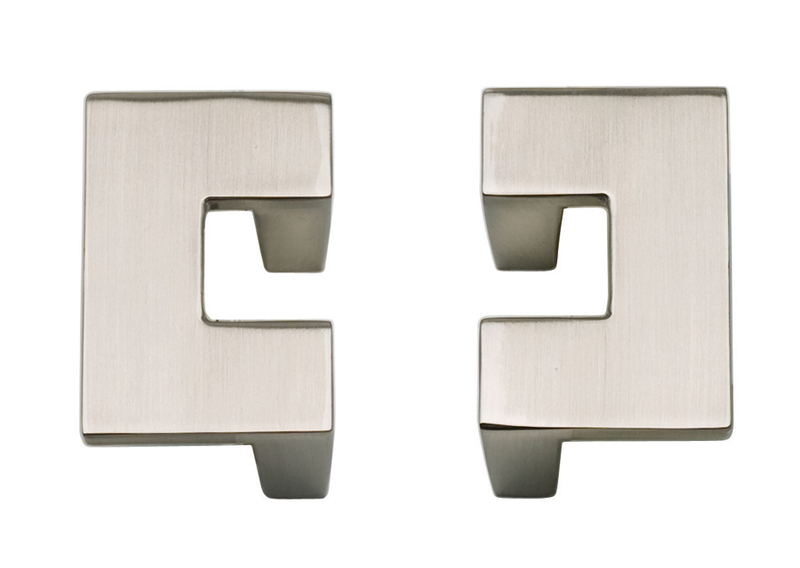 two: U-turn collection small pull in brushed nickel, by Atlas Hardware, available at Immerse by ATLAS, Henry Kitchen & Bath and Marc Christian Fine Cabinetry. three: Fair aisle in aged dover, from the Symphony collection, by Schaub and Company, available through Gegg Design & Cabinetry and Signature Kitchens & Baths. 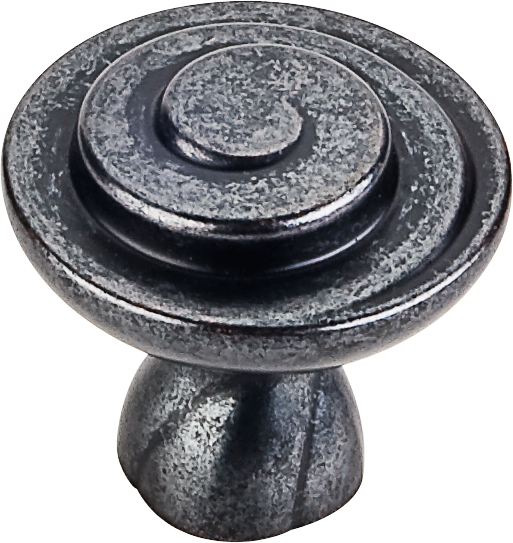 four: Flared knob in pewter antique, by Top Knobs, available at Beck/Allen Cabinetry, Henry Kitchen & Bath, brooksBerry Kitchens & Baths, Marc Christian Fine Cabinetry and RSI Kitchen & Bath. five: Avalon bay in dark bronze, from the Symphony collection, by Schaub and Company, available through Gegg Design & Cabinetry and Signature Kitchens & Baths. six: Violet oyster in polished nickel from the Symphony collection, by Schaub and Company, available through Gegg Design & Cabinetry and Signature Kitchens & Baths. seven: Fair Isle pull in polished nickel, from the Symphony collection, by Schaub and Company, available through Gegg Design & Cabinetry and Signature Kitchens & Baths. 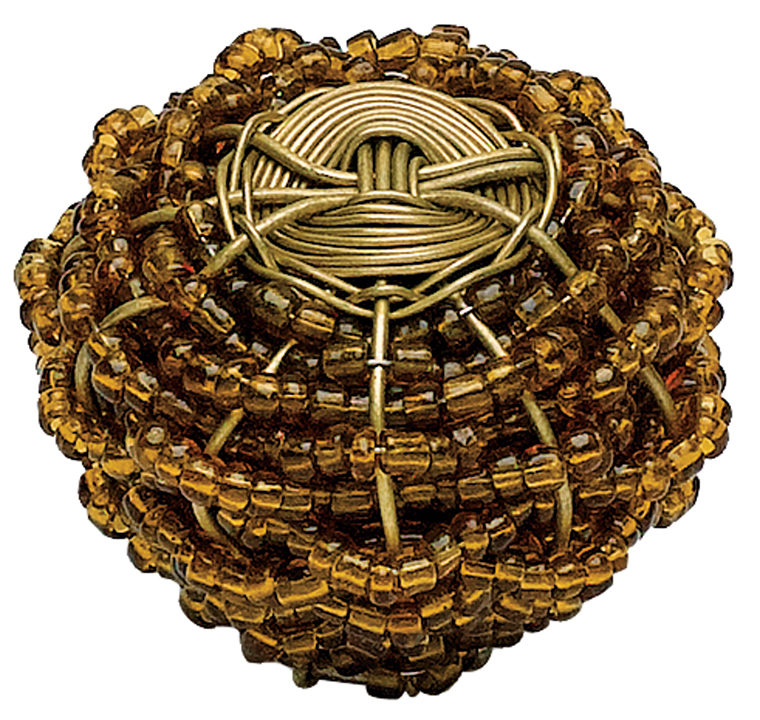 eight: Beaded weave knob, large, in bronze, by Atlas Hardware, available at Immerse by ATLAS, Henry Kitchen & Bath and Marc Christian Fine Cabinetry. nine: Aberdeen in brushed black nickel, by Jeffrey Alexander, available at Beck/Allen Cabinetry and RSI Kitchen & Bath. ten: Legacy crystal round knob in polished chrome, by Atlas Hardware, available at Immerse by ATLAS, Henry Kitchen & Bath and Marc Christian Fine Cabinetry. eleven: Britannium martello rectangle pull, by Schaub and Company, available through Gegg Design & Cabinetry and Signature Kitchens & Baths. twelve: Duval pull in gun metal, by Jeffrey Alexander, available at Beck/Allen Cabinetry and RSI Kitchen & Bath. thirteen: Lafayette in brushed oil rubbed bronze, by Jeffrey Alexander, available at Beck/Allen Cabinetry and RSI Kitchen & Bath. 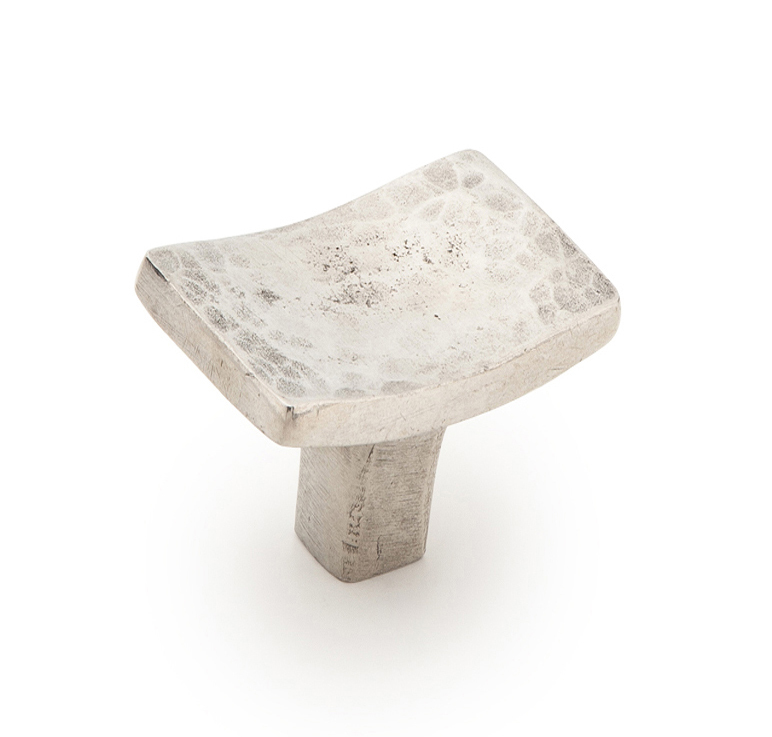 fourteen: Zanzibar leather knob in white/polished chrome, by Atlas Hardware, available at Immerse by ATLAS, Henry Kitchen & Bath and Marc Christian Fine Cabinetry. fifteen: Padua in antique brushed satin brass, by Jeffrey Alexander, available at Beck/Allen Cabinetry and RSI Kitchen & Bath.